The London Irish Centre this week hosted an event showcasing its recent refurbishment to the Irish business community, with guests including representatives from Morgan Stanley and the London editor of The Irish Times. 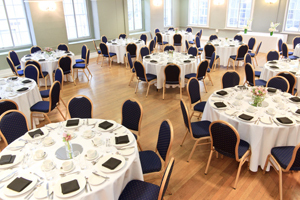 The event was designed to promote the venue’s suitability to host business events following the first, six-month stage of a refurbishment that includes four newly-designed events spaces, which can cater for five to 500 guests. It was attended by 37 guests, who networked and were treated to a dinner based on the four Irish provinces (Ulster, Leinster, Munster and Connacht) and prepared by head chef Peter Gowen. The London Irish Centre has formed a partnership with events consultancy Off to Work, which provided a staff of chefs, floor managers and supervisors, wine waiters, waiting staff and event porters.